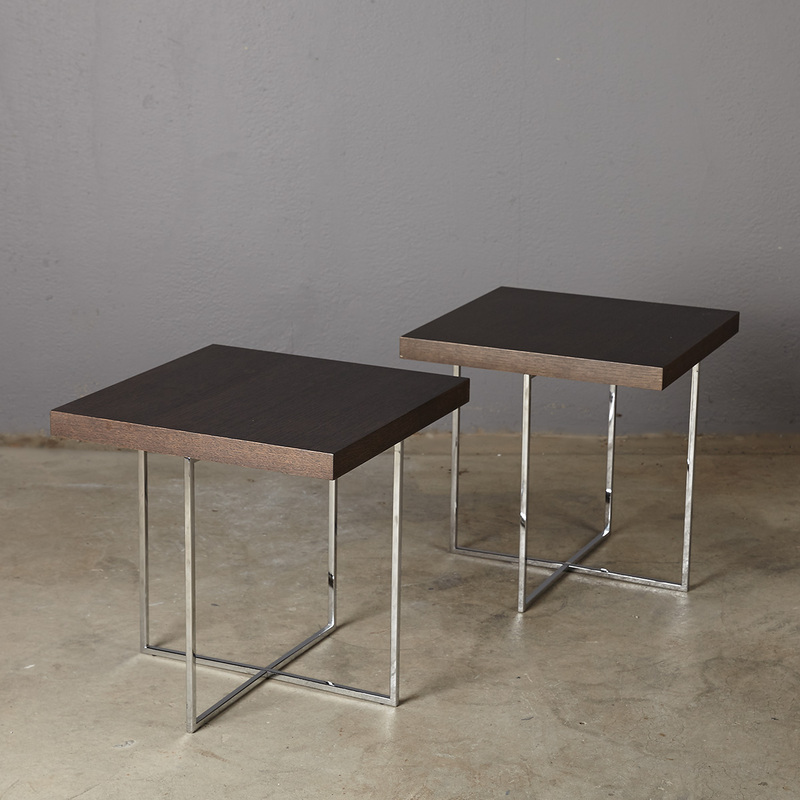 A pair of Poliform ‘Yard’ tables designed in 2003 by Paolo Piva. The table forms a ‘cube’ with a featured geometric polished chrome base. 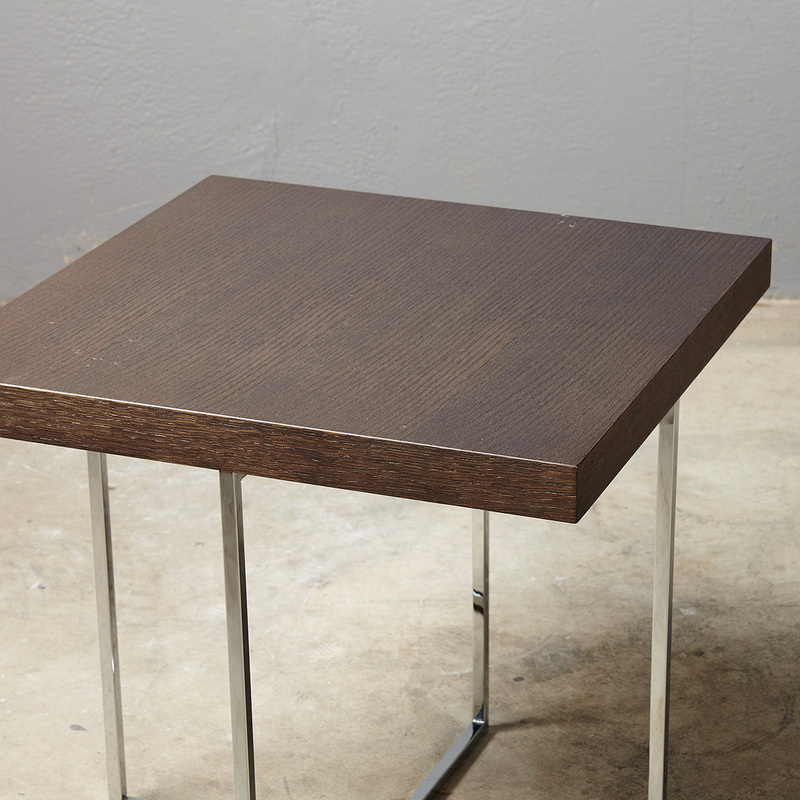 Fabrication: 40mm spessart [dark brown] oak veneered top, polished chrome base. DC Insider: The high quality veneer remains in excellent condition and still looks like new. Inspiration: The ‘Yard’ range was created as a series of round and square tables that can be mixed or matched to add extra personality to a room. Paolo Piva designed the Kuwait embassy in Qatar, the Charles Jourdan Headquarters in Paris and the Dada Furniture Collection for Molteni Milan. He was appointed Professor of Design at The University of Vienna. Design Consigned Insider: Purchased from Poliform Melbourne in 2005. Original receipt included . 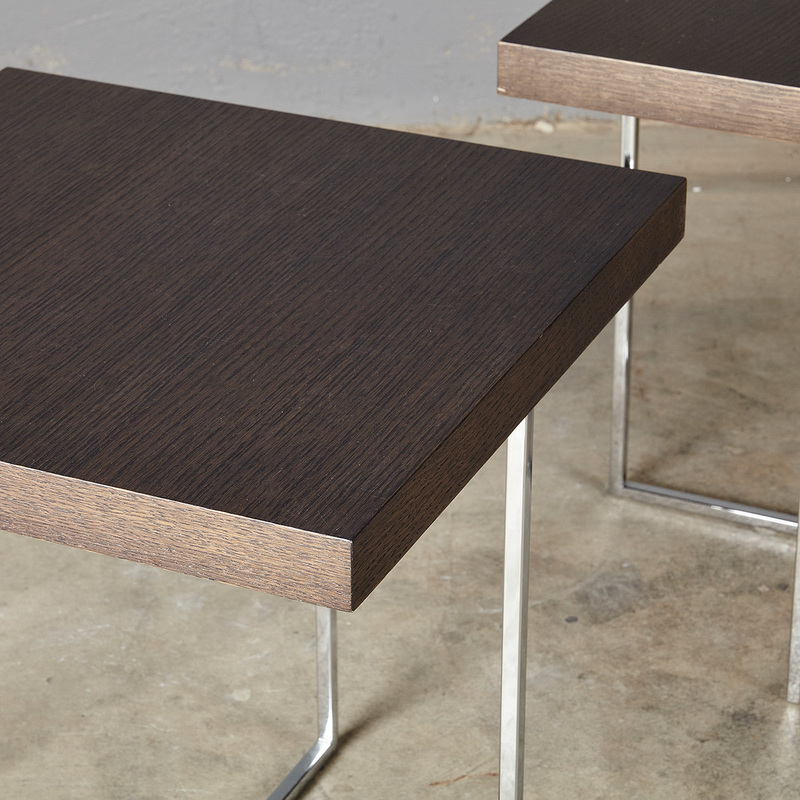 Design Consigned Stylist: Perfect as bedside tables or living room side tables.